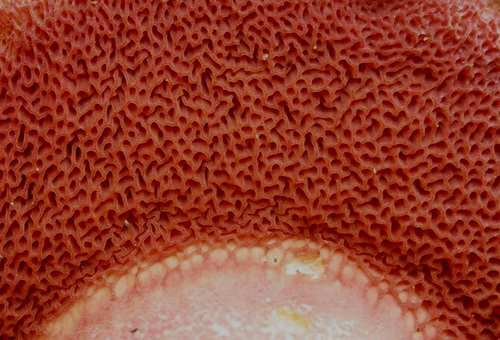 The only European member of this genus is easily recognized due to the combination of carmine or pinkish red tubes and pores and broadly ellipsoid spores. 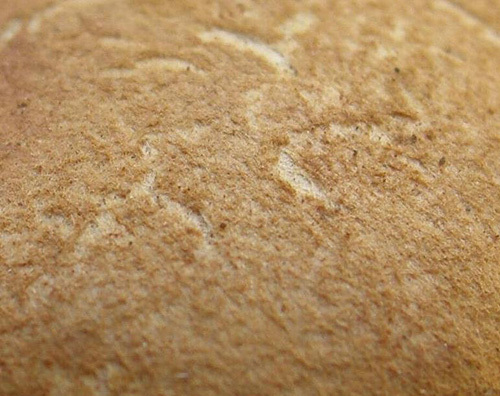 Cap up to 8 cm, at first hemispherical then expanding to convex or almost flat, brick-coloured, reddish brown to yellowish brown. Stipe cylindrical or ventricose, usually tapering towards the base, pinkish, covered with very fine pink to carmine granules. 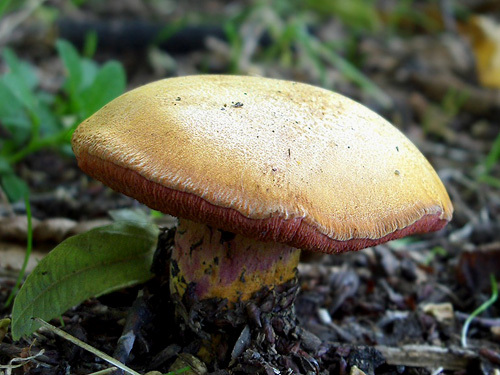 Flesh yellowish, more or less pinkish under the cuticle, vivid yellow in the stipe base, unchanging when exposed to air. 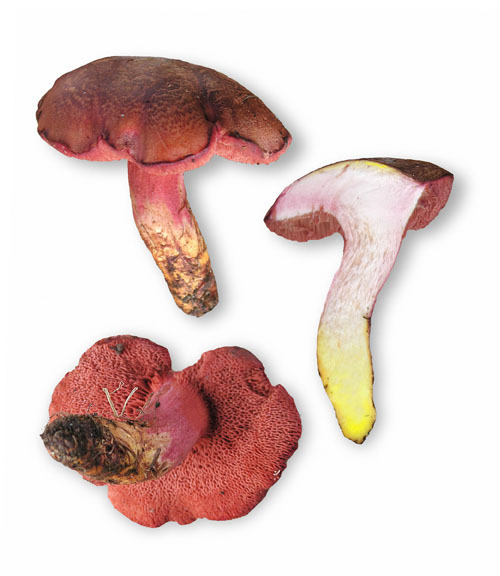 Tubes carmine or pinkish red, unchanging when exposed to air. Pores carmine or pinkish red, unchanging when bruised. Smell not distinctive. Taste not distinctive. 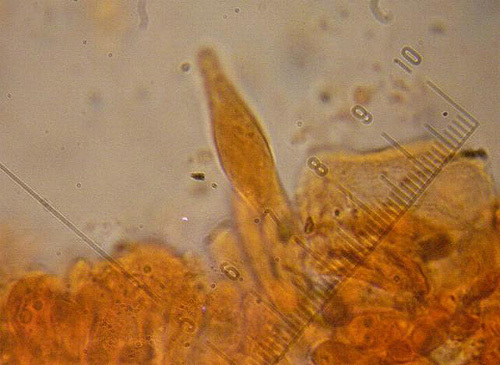 Spores 5.5–8.5 × 4–5.5 μm. Habitat. Deciduous forests, mycorrhizal mostly with oaks (Quercus), but also published recently with hornbeam (Carpinus) in Hungary (L. Kaposvári, in litt.). Distribution. 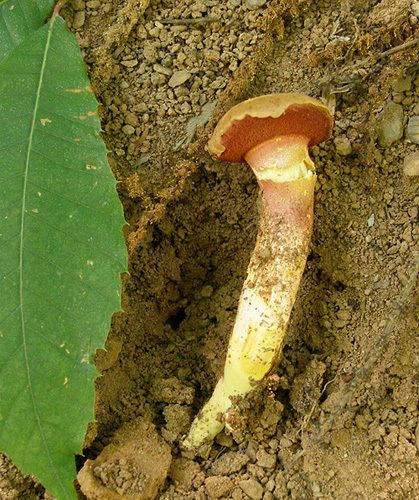 Widespread in Europe and reaching Armenia on the east, but fairly rare throughout. Similarity. 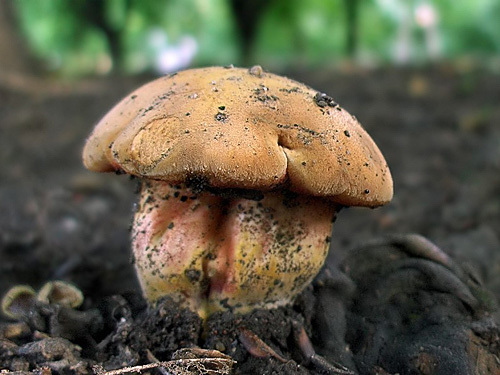 Rubinoboletus rubinus is similar and might be confused with Chalciporus amarellus. 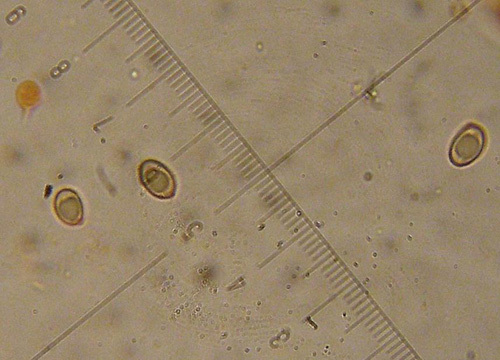 The later however has different cap colour, ellipsoid spores and grows under conifers. 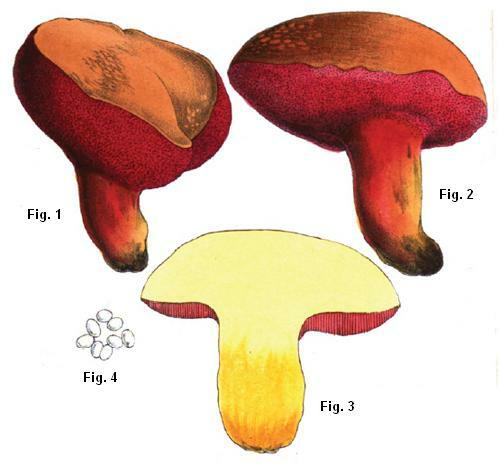 The painting accompanying the original description of Boletus rubinus as appered in Smith (1868). Figures numbers replaced with contemporary font for reading convenience. Pilát A. & Dermek A. 1969. 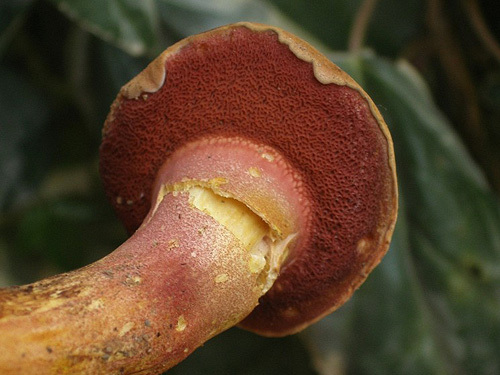 Rubinoboletus, genus novum Boletacearum. – Česká Mykologie 23: 81–82.